Even in the small town of Boggy Creek, Central Florida, politics can be deadly. Having recently fulfilled her dream of opening the All-Day Breakfast Café, Gia Morelli gets a front row seat to some of the hostile attitudes regarding their two candidates for mayor. Although Ron Parker seems to be heartily distrusted and disliked by most of the locals, it is his rival Mitchell Anderson whom Skyla Broussard seems to despise the most. The mother of Gia’s young employee Willow, Skyla is close-mouthed about her reasons and uncharacteristically abrupt with her daughter. 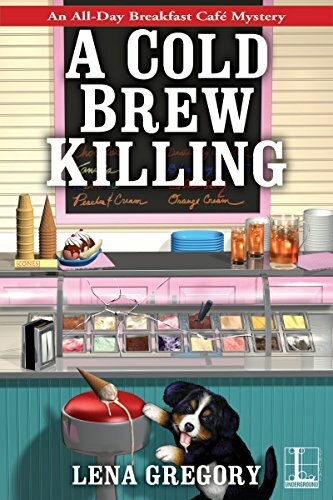 Gia has no choice but to pry into Skyla’s secrets though, when Ron Parker is found dead in the freezer of Storm Scoopers and the ice cream parlor owner Trevor Barnes quickly suspected of murder. The awkward Trevor has been instrumental in introducing Gia to the outdoor wonders of Florida through paddle boarding and kayaking, and despite her friends’ warnings she’s unable to believe him capable of murder. That puts her in an uncomfortable position with her maybe-boyfriend Detective Hunter Quinn, who adamantly wants Gia safe and away from his investigation. Gia’s not about to sit on the sidelines and watch Trevor be implicated in Ron Parker’s death, which means that she will be tracking down alibis, questioning Ron’s trophy wife, and searching through yearbooks to discover how the relationship between Ron, Trevor, and Mitch became so fractured. Gia’s confidence and strength has slowly been building through the three books of this series, and here she displays it in full force as she refuses to back down from her efforts to discover the truth. It’s a characteristic Gia’s going to need as she encounters an all-too timely crime that often goes unpunished despite the costs to the victims. Gia’s new attitude enhances her empathy for others as well, especially when a woman seeking Boggy Creek’s roaming man Harley desperately asks for help and protection. With so many of her friends and neighbors keeping secrets, it’s no wonder that Gia looks for comfort in the one place she has always found it: in her kitchen producing mouth-watering good-for-anytime treats. The step-by-step descriptions are as intricate as any written recipe and will have readers rushing for their stovetops or their closest diner. Gia’s attachment to her ever-growing Bernese mountain puppy continues to grow, with her love for a furry companion spreads to a new friend. 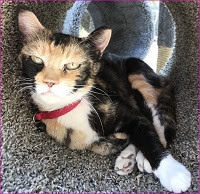 Boggy Creek residents may be slow to appreciate Gia’s new cold brew coffee concoctions, but readers will quickly grow attached to her friends, welcoming breakfast food café, and of course her adorably affectionate canine Thor. To enter to win a copy of A Cold Brew Killing, simply email KRL at krlcontests@gmail[dot]com by replacing the [dot] with a period, and with the subject line "cold brew,” or comment on this article. A winner will be chosen February 2, 2019. U.S. residents only. If entering if via comment please include your email address. You can read our privacy statement here if you like. Thank you so much for such a lovely review. I'm so happy you enjoyed the story! Thank you so much, Riley! I'm so happy you enjoy it. Thank you so much, Robin! I'm so happy you enjoy my stories. Great cover! Would really like to read. I’d love to read it, the cover is neat and it sounds so interesting. Looking forward to reading this one. Thanks for the opportunity! Fingers crossed. Sexydva (at) gmail (dot) com. I love the cover. That puppy is adorable! I love coffee and love the title and can't wait to read the book.